The first reports of a polling station running out of ballots came hours before the polls closed; then there was another and another after that. The first reports of a voting station running out of ballots came hours before the Calgary municipal polls closed. Then there was another. And another after that. Some polling stations seemed unprepared for the deluge of people lining up to vote Monday, a sure sign of a desire for change — or so conventional wisdom goes. But, some wondered, what if the high turnout was motivated by a desire to resist change? As election day rolled around on Monday, Naheed Nenshi seemed to be facing a possible upset from his main rival in the mayoral race, former Alberta PC Party president Bill Smith. Although Nenshi's win wasn't as commanding as when he won a second term by 74 per cent in 2013, he still managed to get a strong enough lead for Smith to concede defeat by midnight. "We underestimated the power of the Purple Machine," said local pollster Janet Brown, referring to Nenshi's team and supporters, who often sport his campaign colour, purple. Brown says a healthy turnout often means non-traditional voters are motivated. She thinks we can look to millennials as a key factor in Nenshi's third win. In Nenshi's first run for mayor in 2010, younger voters were an integral part of his so-called Purple Army when he beat two higher profile candidates and captured the attention of the nation and the world. A recent Forum Research poll suggested Nenshi was poised to win a third term. It showed a huge edge among younger voters, suggesting that: 61.8 per cent of voters aged 18 to 34 would support him over his main challenger. Smith attracted only 16.7 percent of that demographic, the poll suggested. Jack Lucas, assistant professor of political science at the University of Calgary, says younger voters are less likely to vote in municipal elections but if they decide to come out, they become a force. "It can mean voters are motivated to get out and vote to preserve the status quo, to resist the change. It's a pattern of mobilization and counter-mobilization." Several pundits posited that the frustrations of the last few years would translate into a proxy vote against the NDP provincially and the Liberals federally, resulting in a win for the main challenger to Nenshi. Clearly there is great frustration around taxes and spending in addition to unemployment and the hollowing out of downtown Calgary. Many Calgarians feel a profound malaise about the future. Add to that, polls showing a deepening buyers' remorse following the 2015 NDP win in the provincial election. There was anger out there but Brown says "not enough of it." However, she does think the provincial NDP and the federal Liberals influenced this race — just not in the way people expected. The lesson voters who might regret their choices from 2015 boils down to is "do I really want to take a chance on an unknown," Brown said. The polls offered little certainty during this campaign. Mainstreet Research gave the main challenger, Bill Smith. a yawning 17-point lead at one point in the race and then days before election day Forum's poll suggested Nenshi had that same 17-point lead. What role these polls played on turnout and results is an active debate. Michael McGregor, a professor of politics and public administration at Ryerson University, said the Forum numbers were part of a larger survey in eight cities across Canada. However, they decided to release some Calgary-specific numbers early because they felt there was a lack of data from other pollsters. "Polls don't just describe what's going on, they can affect what's going on … including strategic voting or turnout," he said. Brown echoed that, saying, "Polls have a way of changing the narrative. Polls are becoming more of a strategic tool." In his victory speech, Nenshi said the campaign was "more about personalities than policy." He also confessed the campaign experience this time around was "humbling." Choking up, he promised not to "break that trust" that he says voters have once again invested in him. However, he also suggested he is who he is without apology, saying, "I can't promise I'll be a different person" — which could be a reference to the criticisms that Nenshi had become too arrogant and too enamoured with his own opinion. Status quo often prevails in municipal elections. That is certainly the case in Calgary's mayoral contest. The last mayoral incumbent to suffer defeat in Calgary did so in 1980 to a political neophyte: Ralph Klein. You've got to wonder what he would have made of this campaign. 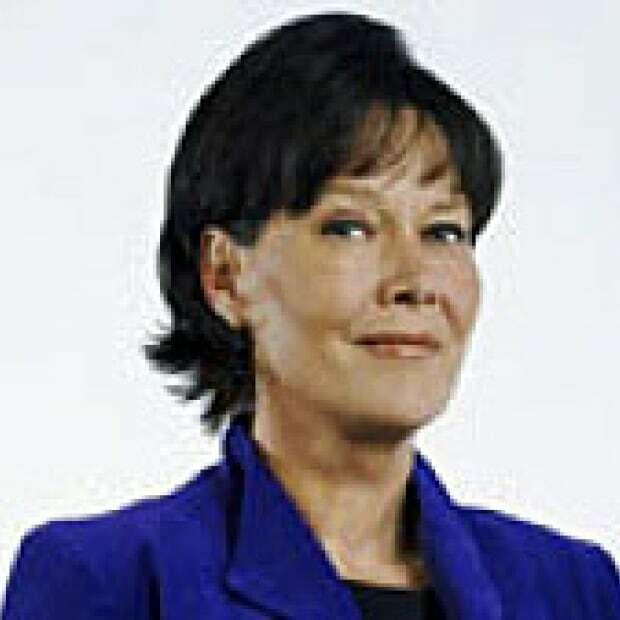 Kathleen Petty is the one of the founding producers of what is now called CBC News Network. Petty created and produced several shows for the network while also hosting for more than 17 years. In 2006, she moved to radio and hosted the national political affairs program, The House on CBC radio along with national election coverage as well as hosting the local #1 morning show in Ottawa. Since then, Petty has written political analysis for cbc.ca and is now executive producer of CBC News in Calgary.